It has only been a decade-and you shouldn't be surprised at where the industry of online casinos stand today, and the stupendous progress it has made over the course of time. We give you the major landmarks in the history of online casinos-which have changed the face of gaming in the present day world. 1994 was the year when the great act of Free Trade and Processing Zone Act was passed-and the consequential legislation which mentioned how online casinos would function. These laws are still followed and respected. Just with the passing of a year, the world saw the first companies which arrived on the scene to facilitate the now very widely used online money transactions. 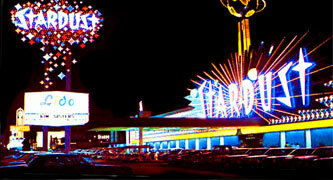 The first casino to accept cash in real surfaced in this year of 1996. In the month of October, the first bet which involves real money of the player is made over the internet! The online casino industry surely has come a long way since that day! 1998 marked the beginning of a golden era-the era of progressive slots. Players got linked in one game, and the first progressive slot machine becomes functional online. However, bad news came for the first time too, with the initiation of the movement to illegalize the gambling done at online casinos-but the bill fails. The first software which has multiplayer options surfaces in 1999. You could, for the first time in history, chat with the players you were playing with. Well, here's the big one-half a million dollars are won-which to the present date remains the biggest win at an online progressive jackpot. 2002 again saw the making of history-the first millionaire! The player won 1.5 million dollars! The eCOGRA, which stands for the Commerce and Online Gambling Regulation and Assurance, takes birth this year. Safety and security are enhanced, and the games offered by the online casinos are made fairer and regulated. The anti-casino movement tries to gather momentum and pass the anti-gaming bills, and it succeeds to some extent with the money transactions related to online gambling being illegalized. The industry has survived brilliantly, however playing with real cash is harder, but for the players, the Internet offers a feast of online casinos to try out.